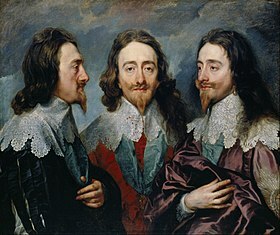 The Wars o the Three Kinricks formed an intertwined series o conflicts that teuk place in Ingland, Ireland an Scotland atween 1639 an 1651. ↑ 1.0 1.1 "ENGLISH CIVIL WARS". History.com. Retrieved 4 October 2014. This page wis last eeditit on 8 August 2017, at 04:15.